This visualization is a modified version of Chernoff Faces, a technique that maps multiple statistical values to the features of a face. Because it's 2017, we expanded on the technique and made Chernoff Emojis. 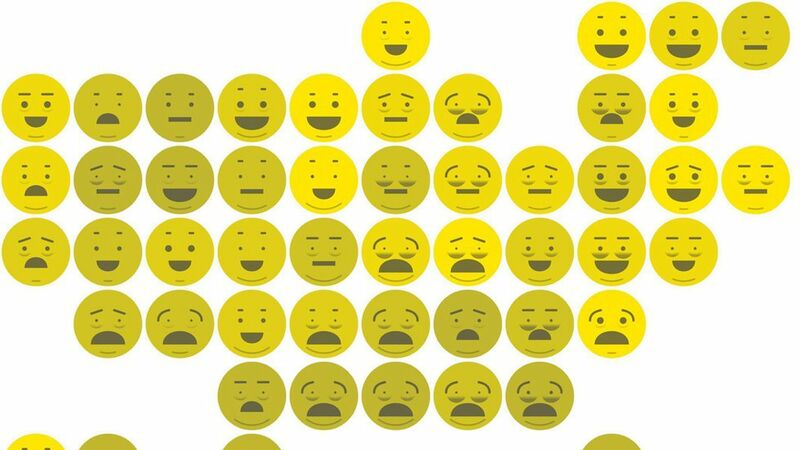 Each part of the emoji is controlled by the state's ranking in a given metric, which range from the uninsured rate to the percent of adults who report getting enough sleep. See the interactive graphic on Axios.